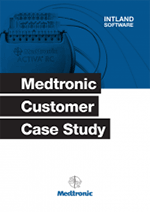 Medtronic: How Does the World's Largest Medical Company Use codeBeamer ALM? Development teams working on safety-critical end products (such as automotive embedded products, airborne flight equipment, railway equipment, and so on) really understand the importance of quality. One small fault in the product could cause catastrophic events, and in the case of major issues, the costs of the resulting recalls could affect the profitability of the entire company. That's especially true for medical technology developers, where the lives of patients may be at stake, and where compliance with a variety of rigorous standards and regulations is key. And in the case of the world's largest medical technology company, Medtronic, quality is definitely the most critical aspect of development. 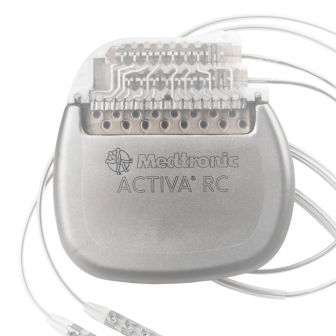 Since April 2015, one of Medtronic's largest and most important departments, the Neuromodulation team, has been using codeBeamer ALM to manage their software development activities. Their goal was to transition the organization towards state of the art mobile, cloud, and data driven medical systems. codeBeamer ALM, the Application Lifecycle Management solution recently named a market leader by Ovum, was able to efficiently support Medtronic's Neuromodulation team in enhancing Agility, velocity of software innovation & development, regulatory compliance, and product quality. The case study explores the evaluation, decision-making and deployment of codeBeamer ALM to support development at Medtronic, a global leader in medical technology. Download the case study below! Process control, traceability, transparency, risk management, quality assurance, and the thorough documentation of development processes are all areas and activities of vital importance when it comes to complying with the rigorous requirements of medical standards and regulations. These are also the areas that cause the most headache to the developers of these safety-critical end products. Traditionally, as was the case at Medtronic, several tools are used to support each sub-process of the overarching product lifecycle. Transferring data between these tools is a task in and of itself – but simple data transfer doesn't warrant traceability, comprehensive documentation, and the rest of the above requirements. Therefore, Medtronic began looking for robust yet flexible integrated ALM solution to support their goals of accelerating the development of their cutting-edge digital healthcare solutions. codeBeamer ALM, their choice of a next-generation ALM tool, offers advanced features spanning the entire development value stream, compliance support across the lifecycle, preconfigured templates, and a flexible architecture that enabled Medtronic to adapt the system to their needs. To learn more, download our case study, contact us with your questions, or start your free trial of codeBeamer ALM today!